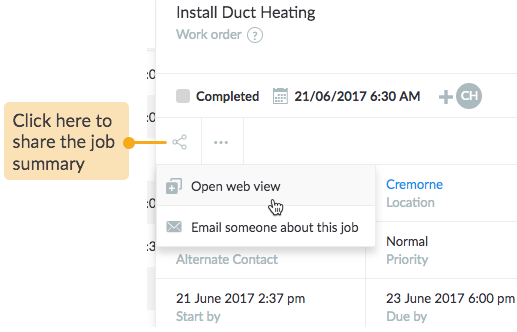 To share job summary and field service reports, select the job in either List view or Map view. 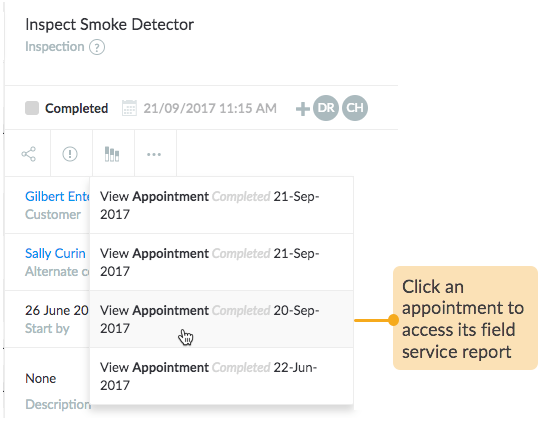 A complete overview of the job, including customer contacts, site details, tasks and all of the appointments set up for that customer till date, is available in web view, ready to print and save. 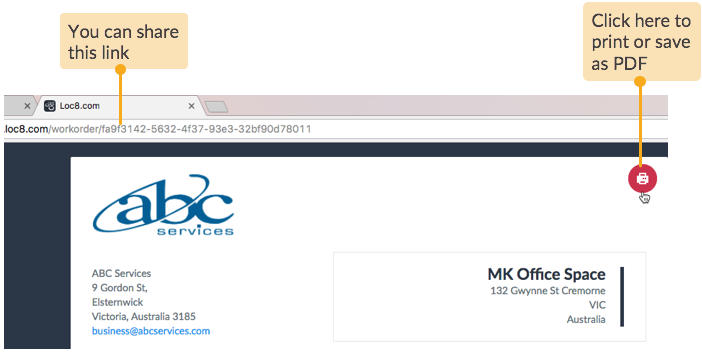 The web view opens the job summary in a new browser window with a link, ready to print and save. 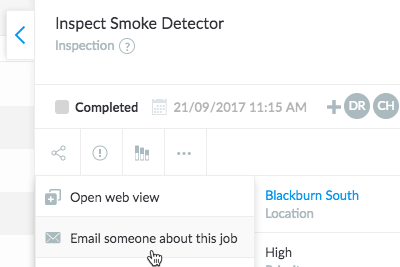 Once a job has been completed, its field service report will appear containing a summary of on-site time log, travel log and task results. 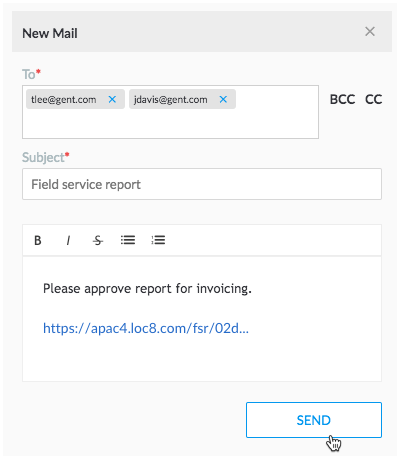 The field service report opens up in a new browser window with a link, ready to print and save. If you wish to share the job summary or FSR, just copy the link and email it right from here using Email someone about this job. NOTE: The email will be sent to the recipients from the email address specified in Settings > Company > General > Email.